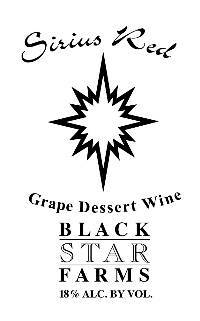 Following in the style of our other Sirius Dessert wines this wine is wonderfully sweet and fragrant. This wine is made in a young ruby port style and is aged in oak barrels for up to one year. The result is a decadent after dinner treat. Dark berry spice with hints of mocha and sweet warm alcohol on the finish. For those with a sweet tooth this is the perfect accompaniment for rich chocolate desserts and vanilla ice cream. If you prefer the savory foods try this with rich pungent cheeses.